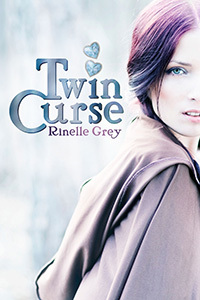 I'm still working on Twin Curse. I've hit my 20k goal, and upped it to 30k. (I must be crazy!) I'm really enjoying this story though, and looking forward to seeing it finished! Today's scene is just after Brianna has left her home. Her twin sister, Mianna, finds the note she left, and jumps to just the conclusion Brianna intended. The sun was high in the sky by the time Mianna woke the next morning. She stretched luxuriously in bed, remembering the night before. She and Terion had slipped away from the festivities for a while last night, and had walked some of the quiet streets, hand in hand. She knew that Brianna still wasn’t keen on him, though she had said otherwise last night, but she hoped, given time, that her sister would come to care for him as she had. Bri! She sat up in bed, but the bed beside her was empty. Not in itself an unusual occurrence, for Brianna often woke before her to ride, or practice with the sword. She smiled in fond amusement at the bed, sheets flung back. Bri hated housework with a passion, but usually good naturedly put up with her twin’s insistence on keeping their room neat. Apparently she had been in too much of a hurry this morning. Mianna rose and made her own bed, before crossing the room to make Brianna’s, still feeling kindly towards her sister after the previous night. When she found a note on the pillow in her sister’s neat, no nonsense print, unease settled over her. She skimmed the words, and unease blossomed into panic. I wish you happiness with Terion. He is a good man, and I hope he will give you the life you want. I still cannot forget Kylis and even if I could, I just don’t feel the same way about Terion that you do. But it is not fair that you should have to give up your dreams for me. If only it weren’t for that stupid, antiquated law. But it is so, and thus, I see only one way for you to have what you want. Don’t grieve for me sister, for I am also doing what I want. I have long wanted to do something to avenge Kylis, and though I can stand no hope of prevailing, at least the weight that has been on my chest since his death will be gone. I love you. Be happy enough for both of us. “NO!” Mianna’s scream echoed around the room, and bought her mother running. Unable to speak, Mianna thrust the note at her. Her mother skimmed the note with the same rapidity that Mianna had, then read it again more carefully. “When did she leave?” she asked. “I have no idea,” Mianna said hopelessly. Terrile turned on her heal, and left the room. Mianna pulled on her dressing gown as she raced after her mother, running to keep up with her long strides. Down the stairs, outside and across the yard to the stables they went. Terrile threw a saddle onto her own mare, and mounted. “Tell the warriors to follow me,” she ordered. And she galloped out of the town, towards the ridge. Mianna raced to obey, and soon almost an army of men were following Terrile out of the town, leaving Mianna with nothing to do but wait. The wait was painfully short. Within the hour, all had returned. “What happened?” Mianna asked her mother. “There was no sign on her on the path. She must have already crossed the ridge before the sun rose.” Her mother’s words were short, and only the fact that she must be hurting as much as she was stopped Mianna snapping at her. Instead, she collapsed into a chair, unable to believe that her sister was gone. No one ever came back once they crossed the ridge. This novel is still a bit of a way off being ready for publishing, but if you want to be notified when it comes out, you can sign up for my mailing list below. Ooh, now I really can’t wait to read it! Great anticipation…. Thanks! Glad you liked the excerpt. Congrats on getting to 20k and upping your word count goal! I’m sure you’ll be at 30k before you know it! Thanks Cherie. It should be doable. Would be nice to ‘win’ for once.